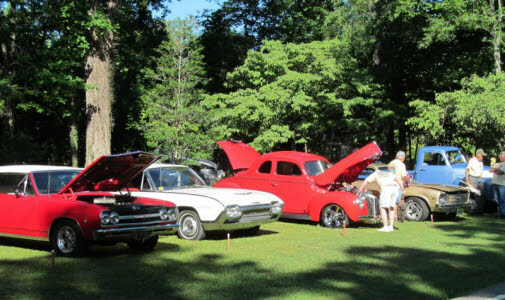 Historic Rugby will welcome an assortment of classic vehicles from around the region on Saturday, June 10 for its annual Benefit Antique Car Show. In addition, Historic Rugby will host a Street Fair featuring a spectrum of craft, antique, and gift vendors on Saturday and Sunday, June 10-11. 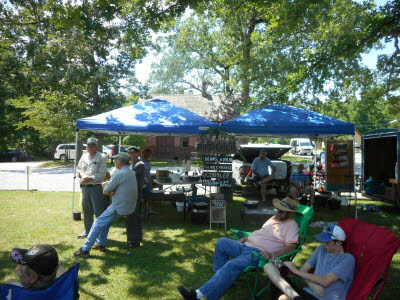 The car show, free to spectators, runs from 9 a.m. to 3 p.m. EDT (8-2 Central) in the heart of the Victorian English village founded in 1880, just off Highway 52 between U.S. 27 and U.S. 127. The Street Fair will run from 9 a.m. to 5 p.m. EDT on both days. Car owners can pre-register their vehicles by calling 423-628-2441 or visiting historicrugby.org. Owners not already registered can do so for a $10 fee the morning of the show, space permitting. 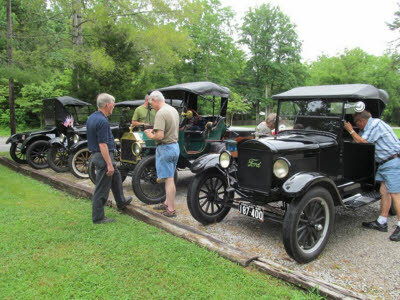 “We have pictures showing the earliest cars in Rugby from about 1919, so we’re getting close to a century of motoring here on the Cumberland Plateau,” said John Hicks, a Historic Rugby resident and show organizer. Mr. Hicks said cars both domestic and foreign, ranging from Ford Models A and T to Chevy Corvettes and even street hotrods are all expected. Vehicles come from as far away as Knoxville, Chattanooga and Nashville, he noted. The event is a favorite with spectators, who mingle with the vehicles while enjoying the atmosphere of the village located at the southern edge of the Big South Fork national park. Showgoers will find food and drinks at Rugby’s newly-remodeled Harrow Road Café, as well as with various vendors, and can participate in a 50/50 drawing to benefit non-profit Historic Rugby. Door prizes will be awarded to lucky car entrants in a 2:30 p.m. EDT drawing. The Street Fair will focus on unique handmade crafts and other items that are native to Appalachia or the British Isles. Vendor reviews mean that items are of high quality and will be memorable gifts and keepsakes. For vendors who would like to participate, contact Jennie Chevalier at (423) 628-5166 (Thursday – Sunday) or David Mayfield at (423) 628-2441 or by emailing dmayfield@historicrugby.org. Rugby’s Visitor Centre will be open for personalized village historic tours, and the town’s unique shops, hiking trails, and other attractions will welcome browsers. Rugby also offers lodging in its historic buildings. To learn more, call 423-628-2441 or visit www.historicrugby.org. Rugby was founded in 1880 with the goal of building a strong agricultural community through cooperative enterprise, while maintaining a cultured, Christian lifestyle, free of the rigid class distinctions that prevailed in Britain at the time. The village has continued for 135 years, with numerous original buildings either restored or recreated. Learn more about the history of Rugby and its unique attractions at www.historicrugby.org. Rugby is located just off State Scenic Highway 52, 16 miles southeast of Jamestown and 35 miles from either Interstate 40 or I-75 in East Tennessee on the southern edge of the Big South Fork National River and Recreation Area.